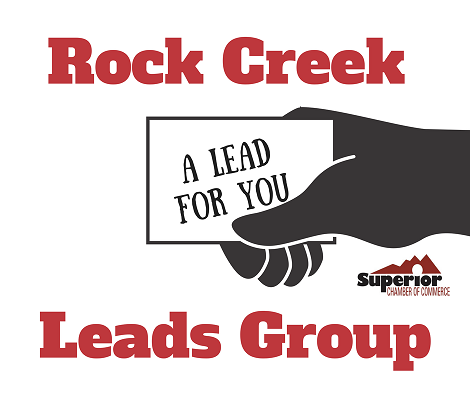 The Rock Creek Leads Group is a professional organization of men and women dedicated to the development of business by exchanging quality leads and networking within the group. One person represents each business category, and conflicts of interest are not permitted. We welcome any member of the Superior Chamber of Commerce who is interested in empowered networking and lead generation for building business and creating value for the customers they serve that is not already a member of other leads groups within the Superior Chamber of Commerce. Please contact the Chamber at info@superiorchamber.com to arrange a visit to the group. This group meets the second and fourth Thursday of the month from 11:00am-Noon at First National Bank, 515 McCaslin Blvd., in Louisville.